200 East 59th Street is a modest but crisp condominium tower that substitutes the flamboyance of the supertall era for superb apartment layouts and wrap-around terraces. 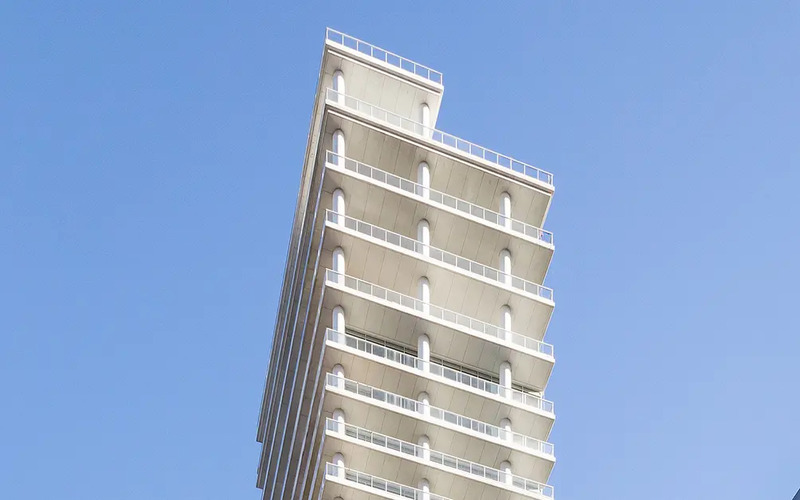 The airy plans are achieved by moving the circulation core to the building's lot-line corner and placing perimeter structural columns within the exterior terraces. 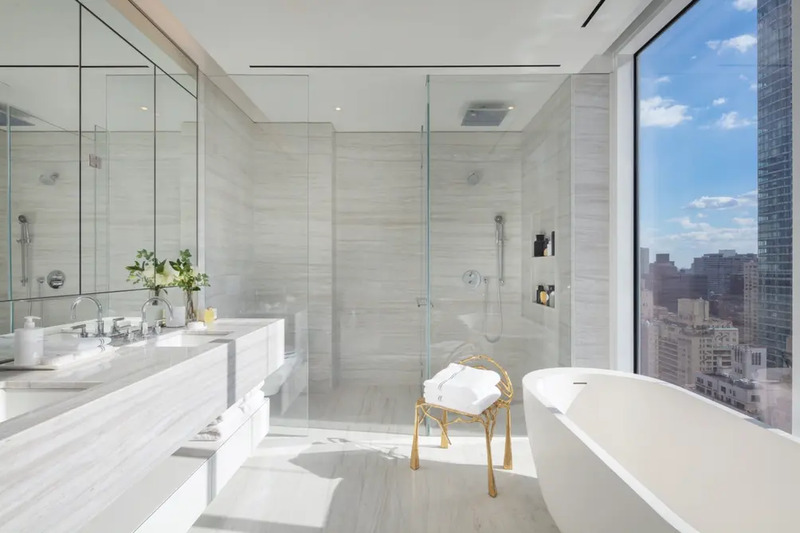 The slender 35-story project was developed by Harry Macklowe and is a follow-up to 432 Park Avenue — the Western Hemisphere’s tallest residential building. 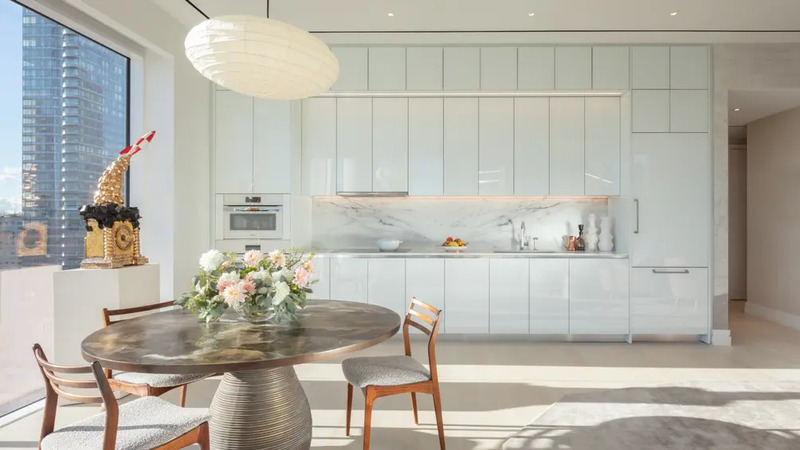 Designed by CetraRuddy, the architects behind One Madison, Walker Tower, and 45 Broad, the 500-foot-tall building rises from a 105-foot-deep site at the corner of Third Avenue across from One Beacon Court/Bloomberg headquarters and Bloomingdale's. The rounded exterior columns are conceived as a focal point in the design and, according to the team, a portion of each column facing the city will be illuminated at night, to create a stunning visual. While 200 East 59th Street is one-third of 432 Park's height, it shares its Modernist vocabulary and restrained elegance. Other parallels include the kitchen and bathroom finishes and residence controls and systems. 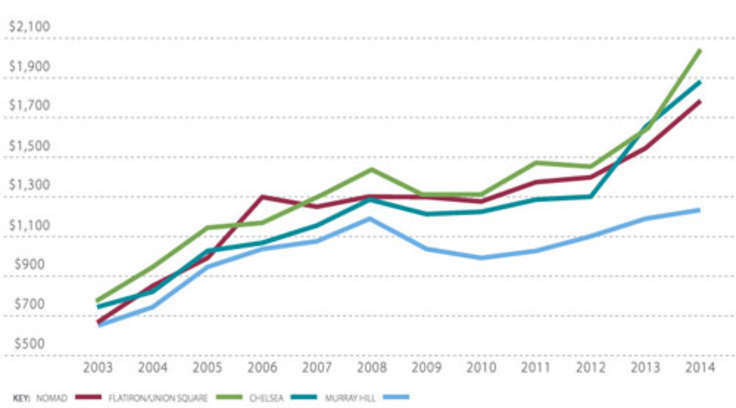 The tower serves as a more attainable alternative to its big sister a few blocks to the southwest. 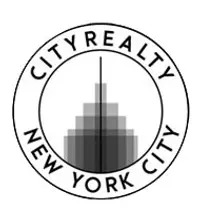 While listings at 432 Park start at $5.5 million and average $7,000 per ft², 200 East 59th Street one-bedrooms are priced from $1.875 million and two-bedrooms start at $3.8 million, blending to an overall average of $2,645 per ft². 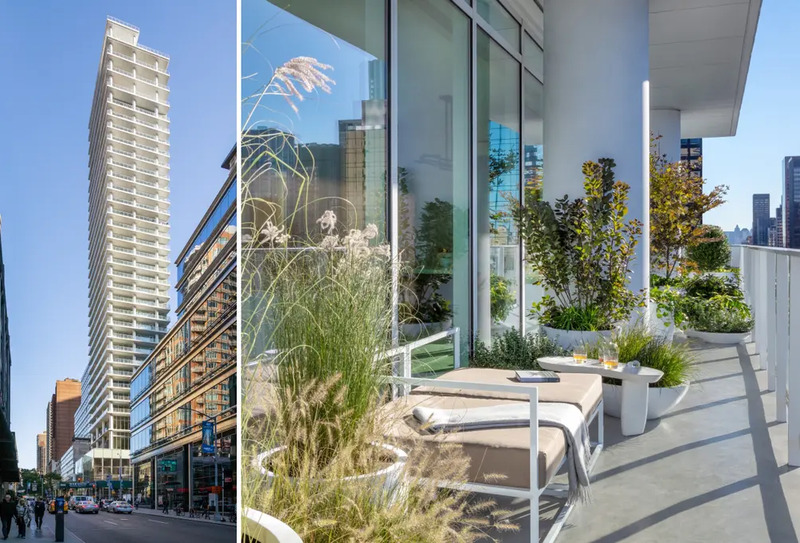 The marketing team touts 200 East 59th Street as the first new residential tower in New York to bring true indoor/outdoor living to every residence. According to a press release, "All 67 homes are corner units, and take advantage of the unique continuous terraces that vary from 7 feet deep to 12 feet deep." Apartments have white oak plank floors, lofty ceiling heights, floor-to-ceiling-windows with slim framework, and balconies with glass railings. 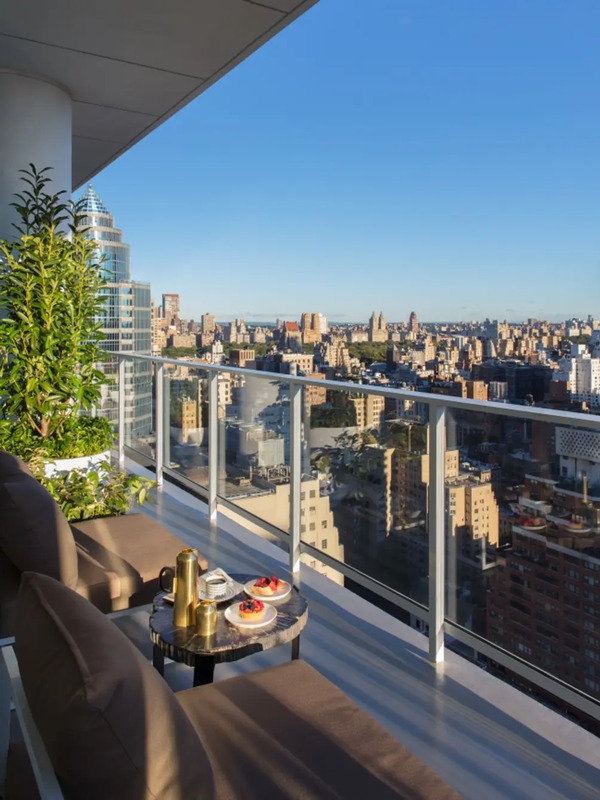 The balconies, which measure 22 feet long to nearly 150 feet long, are positioned along the tower's north and west elevations which present commanding views of the Upper East Side and Central Park. 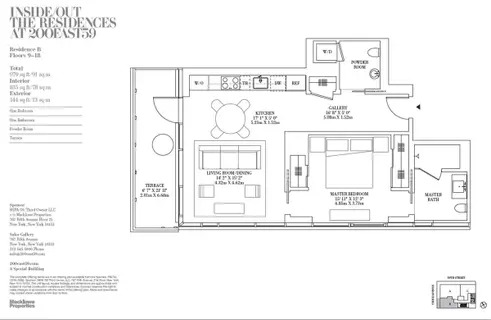 The unit mix is composed primarily of one- and two-bedroom residences measuring up to 1,700 square feet in size. 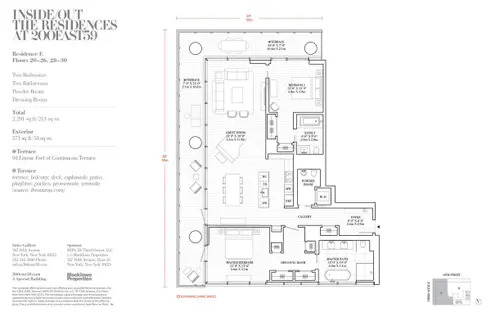 A three-bedroom, 3,924 ft² penthouse (#PH32) is up for grabs for $15.75M. The home has 14' finished ceilings, a gas fireplace, and 148 linear feet of wraparound terraces (1,198 ft² total) that can easily accommodate outdoor dining and seating furniture. All bedrooms have en-suite baths and the washer and dryer are tucked away in a powder room. 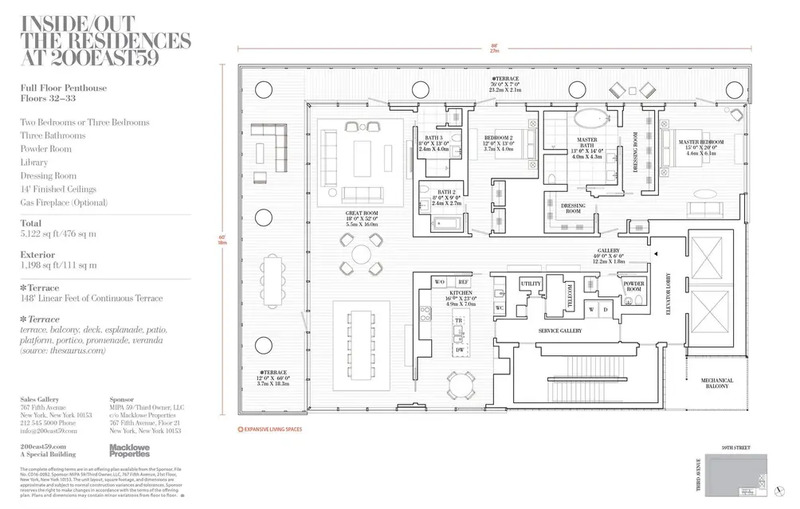 The amenities follow the indoor/outdoor theme of the building and include a double-height fitness center which overlooks a common landscaped terrace with seating and dining areas. The lounge has a full-height central marble fireplace, a private dining room, and a catering kitchen. Additional amenities include bike storage and laundry room with commercial washers and dryers.